Take control of your stovepipe's efficiency and help keep your home warm with these Automatic Barometric Damper modules from Copperfield. 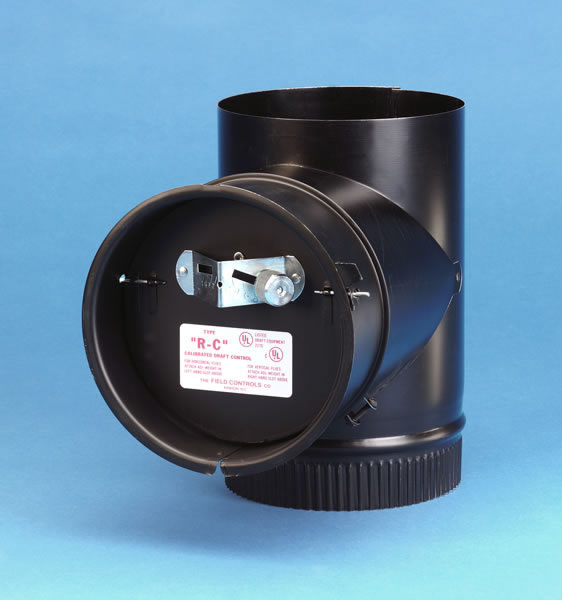 The damper's simple flap mechanism allows perfect regulation of air in and out of the stovepipe, making sure you have the right flue draft at all times. The 20-gauge steel construction means it's ready for a long, reliable life of service, and even installation is simple and worry-free. Measures 8" diameter. Can this unit be turned 180 degrees so that it is horizontal rather than vertical? It can indeed. The damper will simply need to be swiveled within the tee so that the weight remains at the top of the flap. What is the length of this pipe? This adjustable damper is used in conjunction with an Imperial tee, which measures 10 inches in height. This damper does indeed have an adjustable weight that allows you to compensate for different draft pressures.